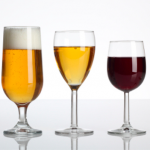 Could alcohol consumption decrease the risk of gallstone disease? A recent meta-analysis1, published in the scientific journal Gut and Liver, confirms that alcohol consumption is associated with a decreased risk of gallstone disease; indicating alcohol could have a preventive effect. 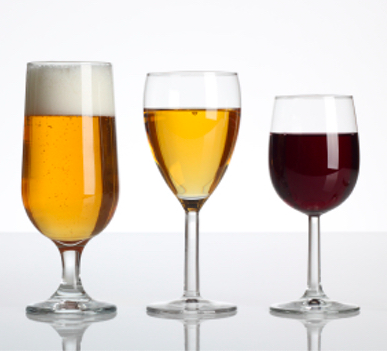 But whether there is an optimal alcohol dose remains unclear. What does this study add? This meta-analysis confirms the previous findings and intends to assess the optimal amount of alcohol to reduce gallstone disease risk. The researchers included 24 studies in this meta-analysis: 16 case-control studies with more than 100.000 participants and 8 cohort studies with 2.4 million person-years. This meta-analysis confirms the possible protective effect of alcohol on gallstone disease (GSD). There was a 4% risk reduction with light alcohol consumption compared to non-drinkers, and even a 34% risk reduction with high alcohol consumption (see table). When really assessing the dose-response, there were some inconsistent findings. There seems to be an optimum protective effect at 28g/day after which the risk reduction more or less stabilizes. However, when looking at the case-control and cohort studies separately, this trend was only found with the case-control studies; in the cohort studies the relationship seems linear. So, what should we believe? The authors acknowledge that cohort studies have a higher level of evidence, thus suggesting a linear trend. However, they still refer to the 28g/day in their conclusion.